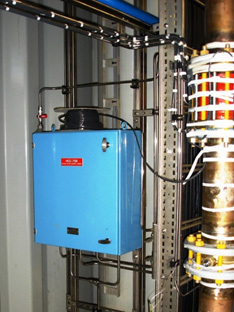 Cabinet for providing control system for pneumatically actuated deluge valve. A typical cabinet includes inlet valve, filter, regulating valve, pressure switch, pressure gauges, solenoid valve, isolation valves and check valves. All components are mounted into a SS316 coated cabinet. The cabinet is fully factory fitted out and tested and can simply be connected up and be fully functional with minimal installation time and cost. The cabinet is suitable for use in harsh marine environments and is supplied with full certification and operating instructions. 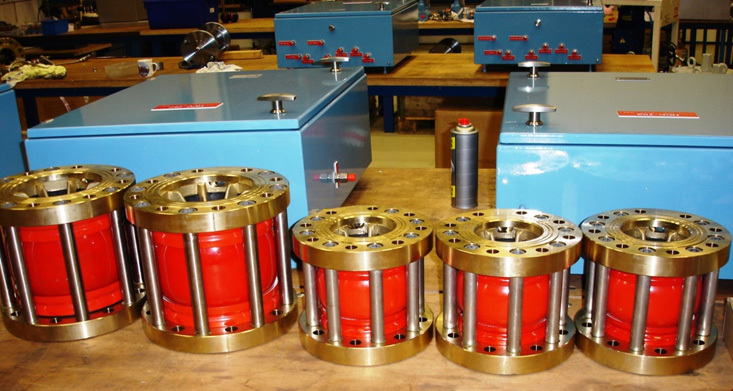 Deluge cabinet can be supplied as loose supply or on a purpose built skid together with the deluge valve assembly.